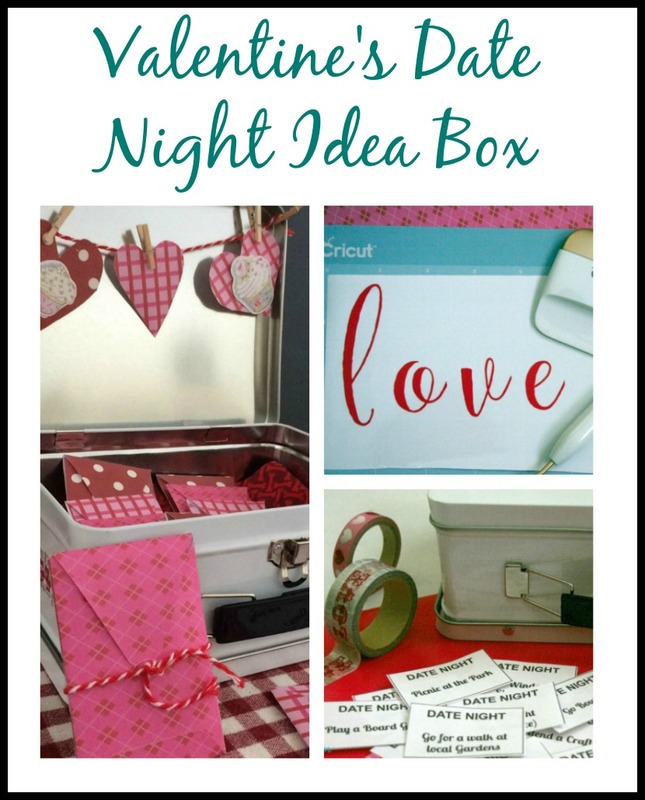 My husband and I do not like to buy each other extravagant gifts for Valentine's Day, so I came up with the idea to make a Valentine's Date Night Box that contains ideas of fun things we can do together. 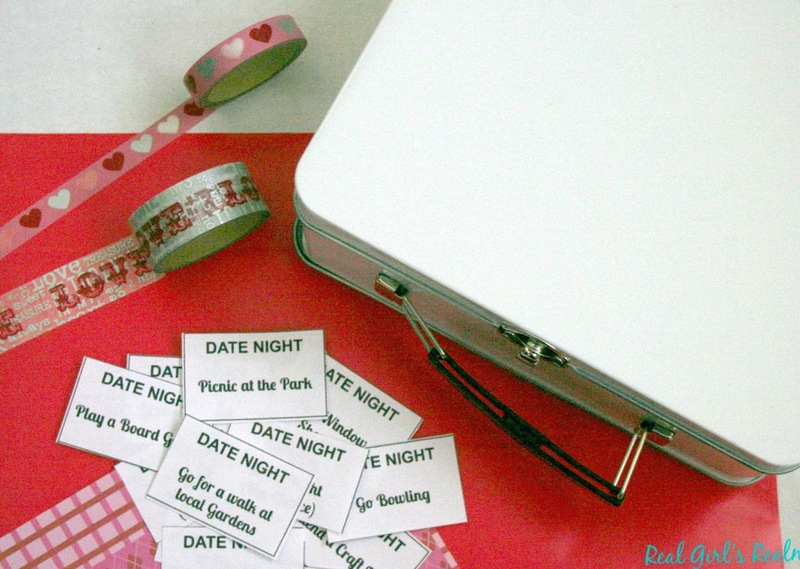 Each month, we can have a surprise date night by picking one of the ideas from the box! 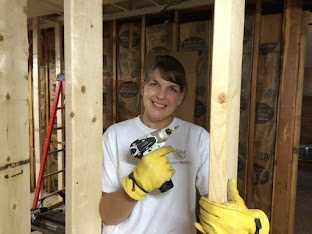 I have long been a fan of Oriental Trading company since I work in children's ministry at my church and have used many of their crafts and gifts over the years. They have a wide selection of items for every holiday, including Valentine's Day. 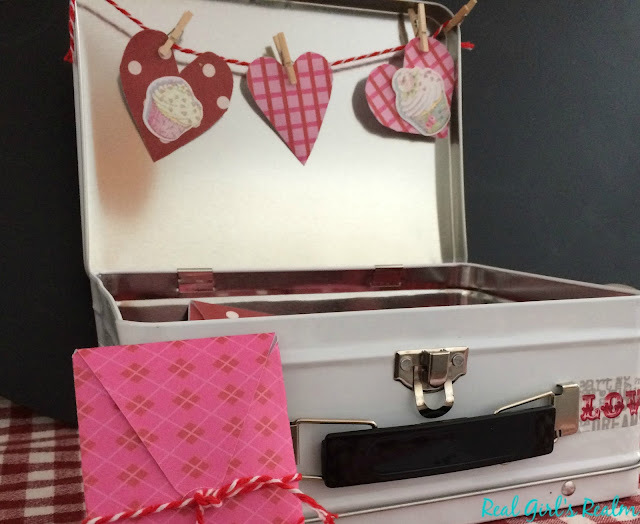 I am excited to be partnering with Oriental Trading to share a tutorial on how to create an easy DIY Valentine's Date Night Box! 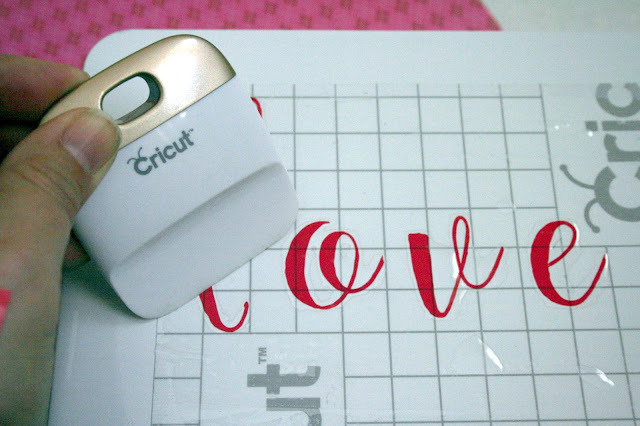 Using the Cricut Design Space, type the word "love," select your desired font, and size it to fit on the lunchbox. Cut and weed the vinyl until you only have the letters left on the mat. I used transfer tape to remove the letters from the mat and apply them to the lunchbox. Make sure you smooth out all the wrinkles to get a clean application. 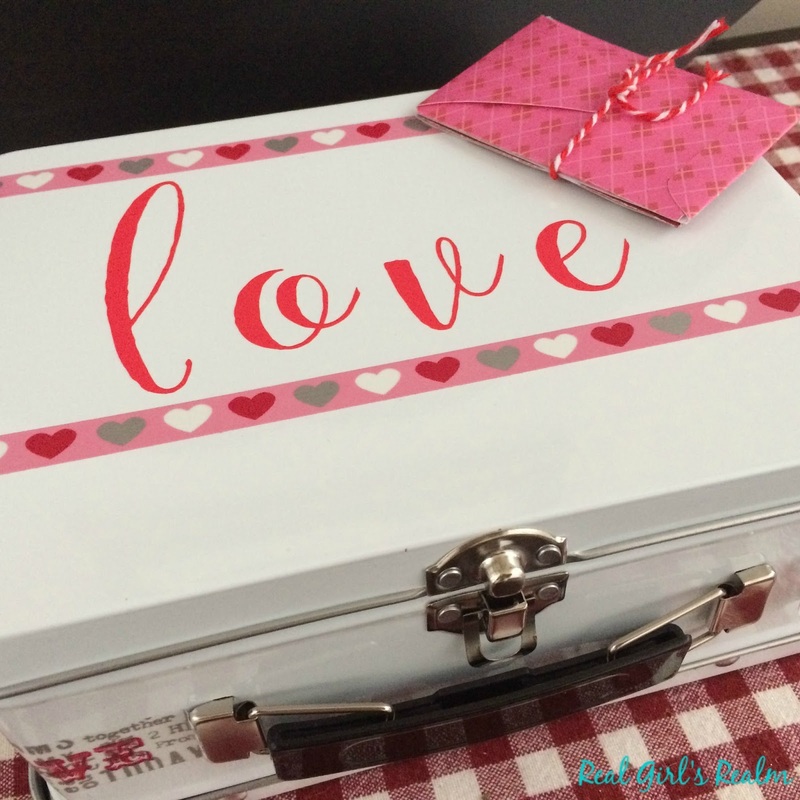 Once you have applied the vinyl word to the top of the lunchbox, continue to decorate it. I created a top and bottom border for the word "love" using heart print washi tape. I also wrapped "Love" washi tape around the center of the box. 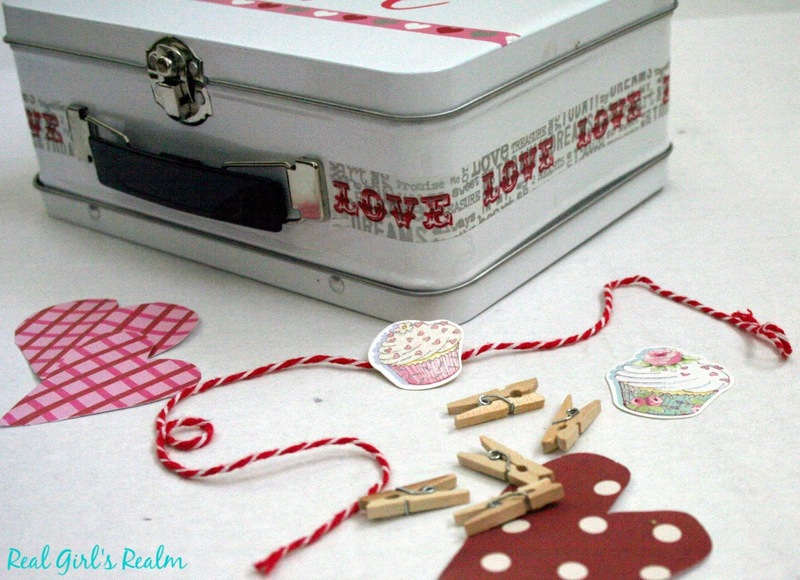 Create a small heart garland inside the box for an extra surprise. I hand cut heart shapes from the assorted cardstock and decorated them with cupcake stickers. I used the mini clothespins to attach the string to the sides of the lid, as well as hold the hearts. I also used my Cricut to make paper envelopes to hold the Date Night cards. 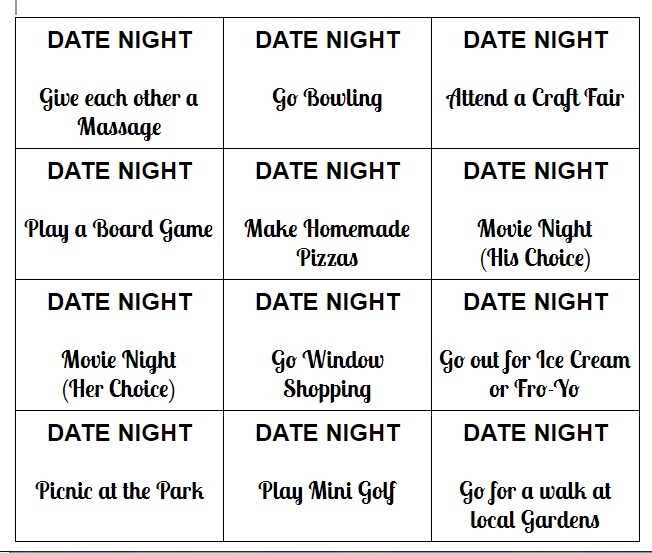 Right Click on the picture below to Save a copy of my Date Night ideas for your own use or you can create your own! How do you and your significant other celebrate Valentine's Day? 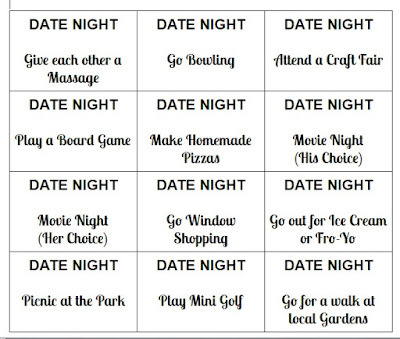 Which date night idea is your favorite? What a clever idea! 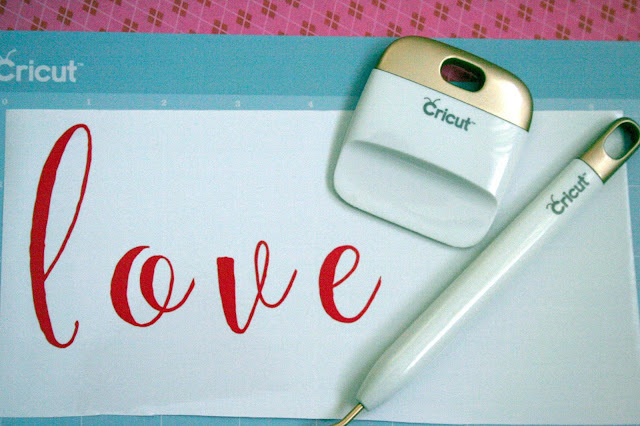 I love how creative you are, especially with the Cricut. It's such a neat little gadget all in itself but you really take it to the next level! Awwww thank you! I am honestly not that creative...I get lots of inspiration from Pinterest! 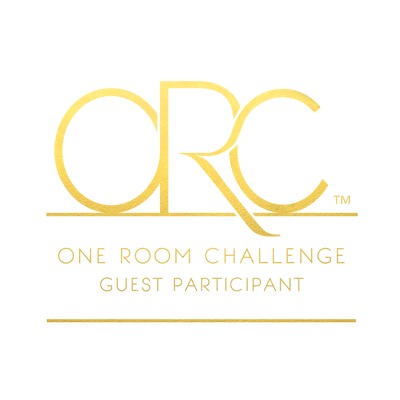 These is a neat idea. 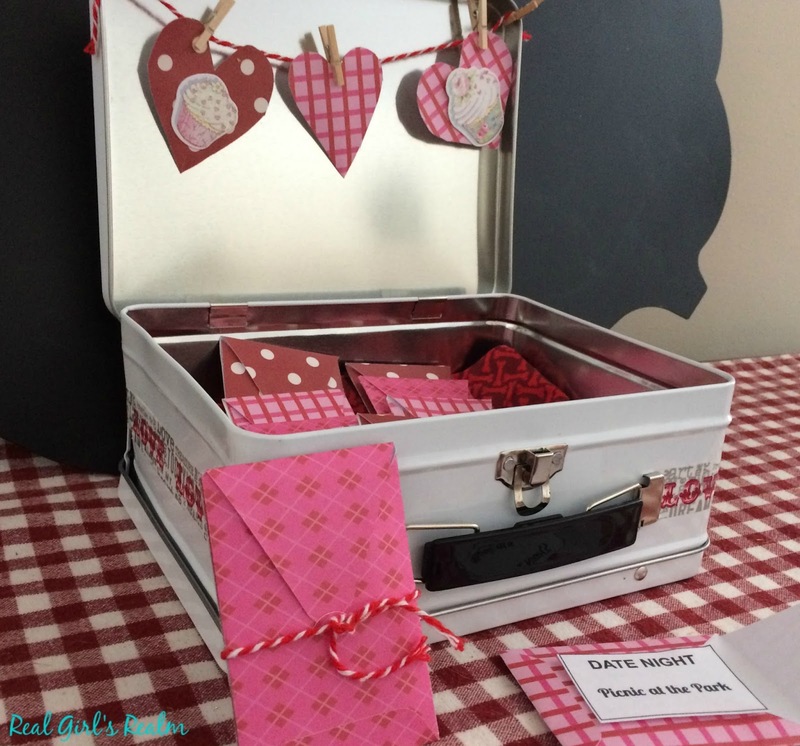 I really like using those tin boxes for crafts. I agree, these boxes are versatile!